Over 100 Years of "Something Doing All The Time..."
Welcome to the Reading Motorcycle Club! 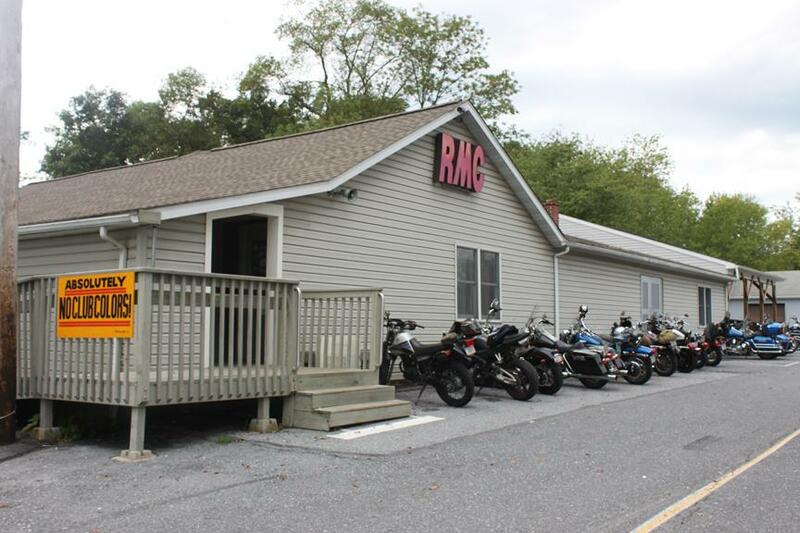 Located in scenic Oley, Pennsylvania, we are one of the oldest motorcycle clubs in the United States. Our current membership is over 1,300 members making us one of the largest clubs in existence. If you're coming for the AMCA event the last weekend in April and you'd like to camp close by the Oley Fairgrounds click on the link below for details regarding camping. The 100th Anniversary Club Bike is up for sale and this is for club members only. Click on the link below for 3 pages of pictures of the bike. The bike is being sold privately by the owner of the bike. The club is not affiliated in any way with regards to selling this motorcycle. The club will now be open on Thursday's starting at 5pm for regular business. So come on out and support your club. Our Road Captain put together information regarding blocking during a Club Run, Frosted Nutt run or any motorcycle run made specifically by the Reading Motorcycle Club. If the RMC website has words on top of each other or things are out of place click the link below and follow the directions to fix it. If you're using EDGE in Windows 10 then click on the "...' in the upper right corner and select "Open with Internet Explorer". Then the instructions above need to be applied. For comments, additions, suggestions, event flyers & pictures, contact the Webmaster . Wednesday - 5pm til ?Thursday - 5pm til ?